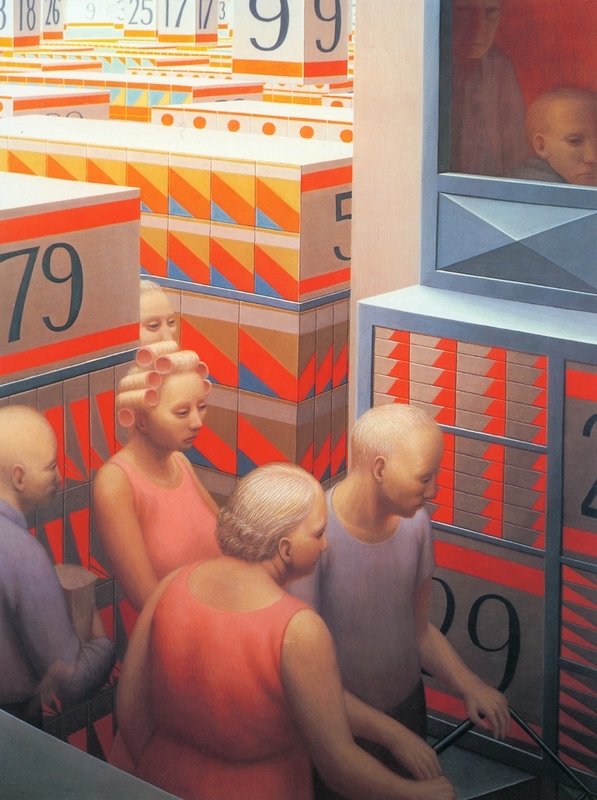 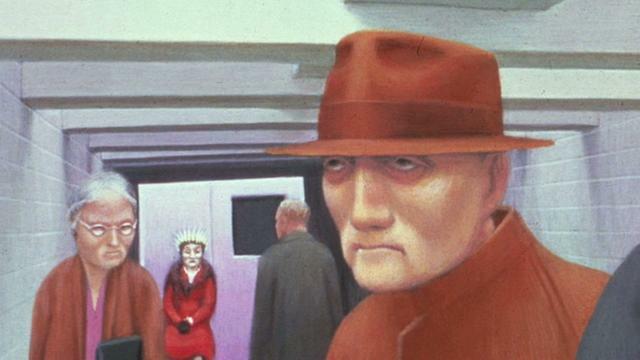 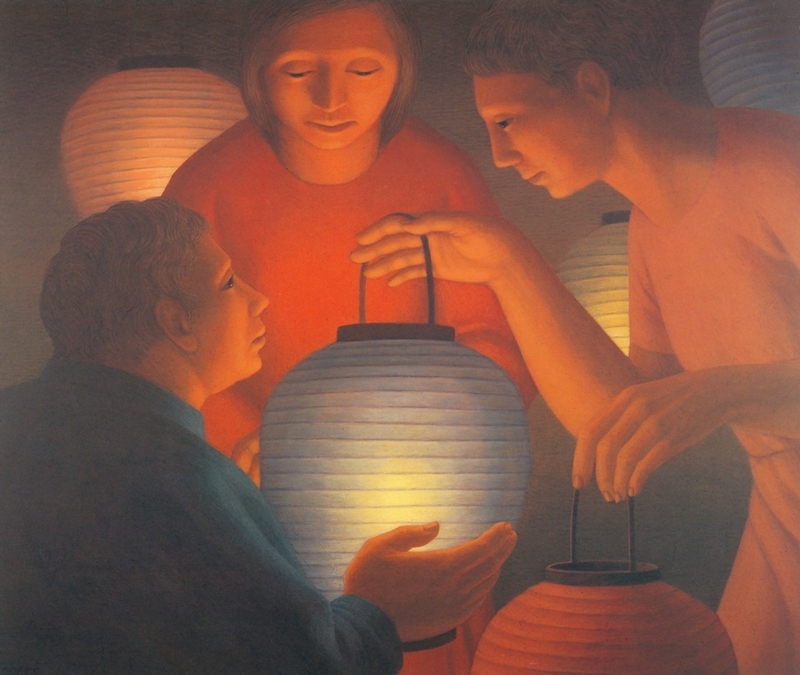 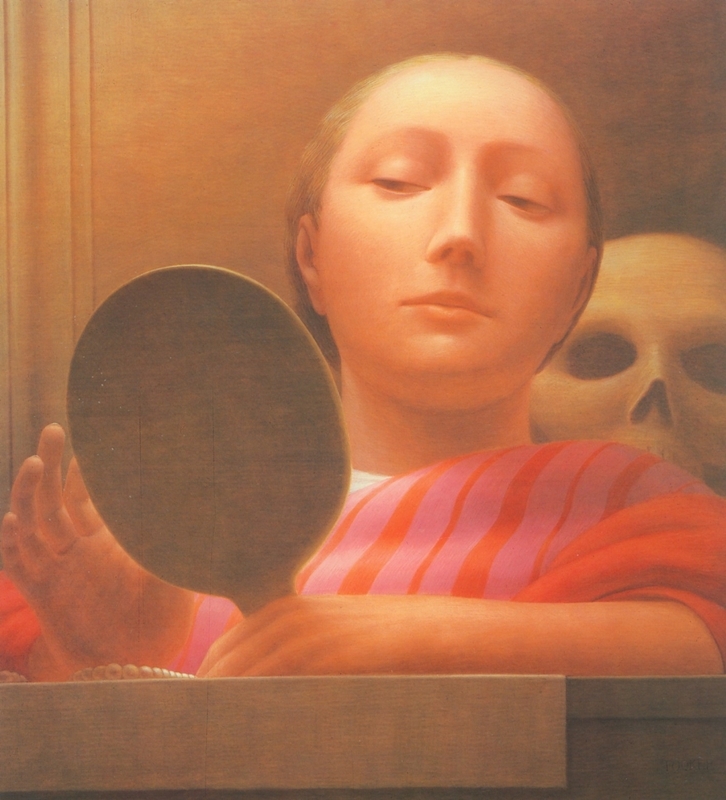 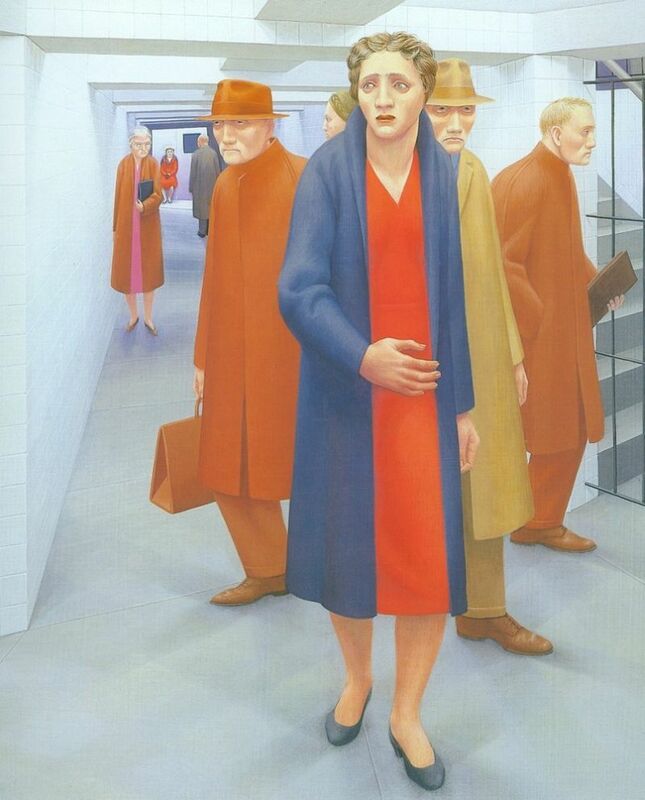 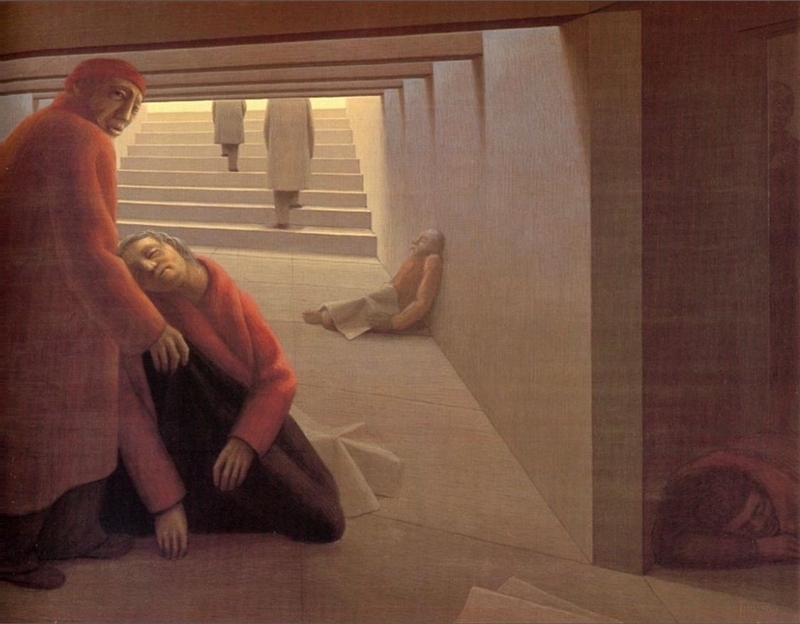 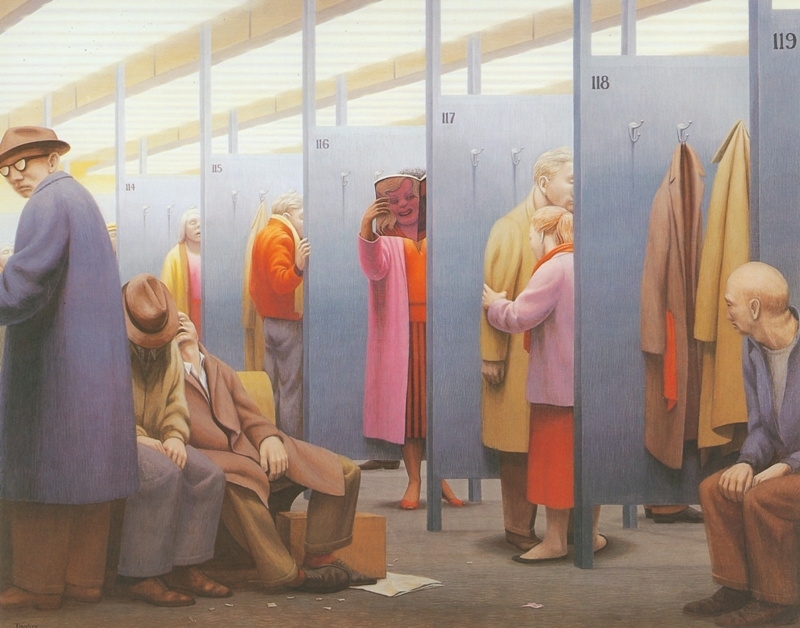 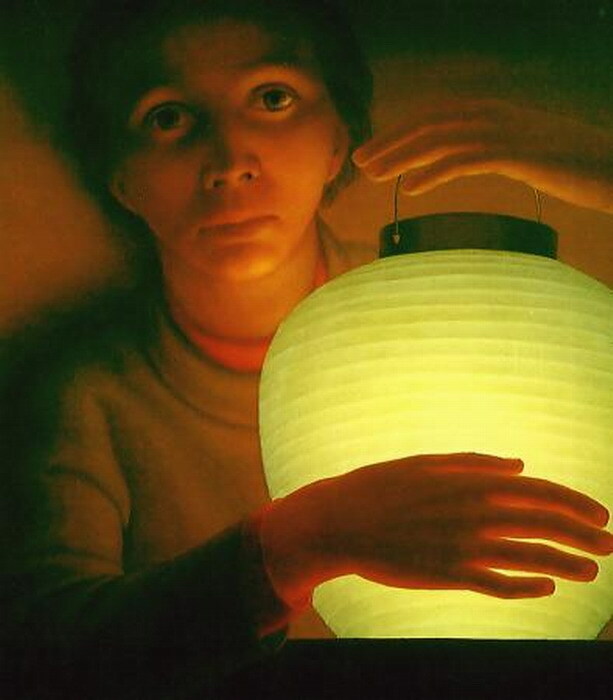 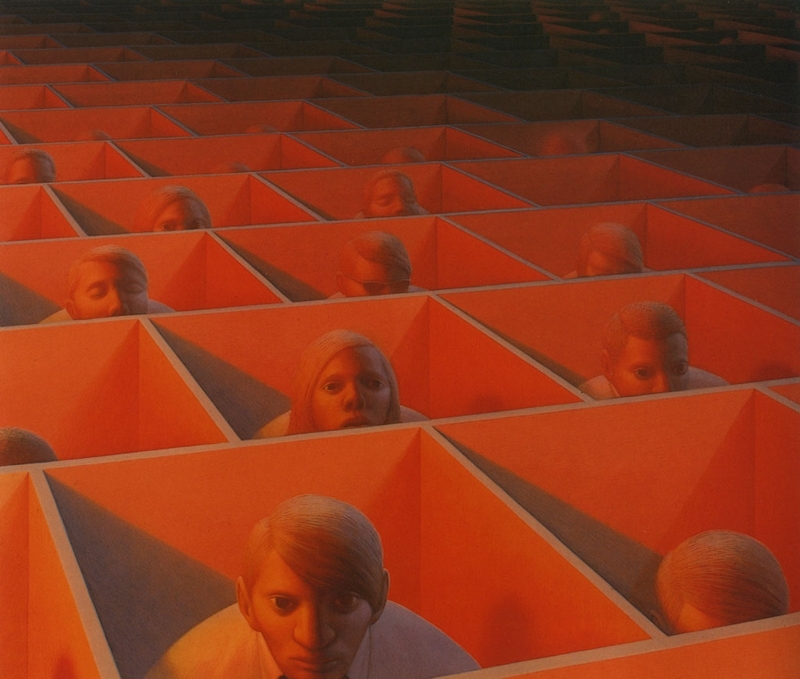 George Clair Tooker, Jr. (1920-2011) was an American painter whose works are associated with the Magic Realism and Social Realism movements. 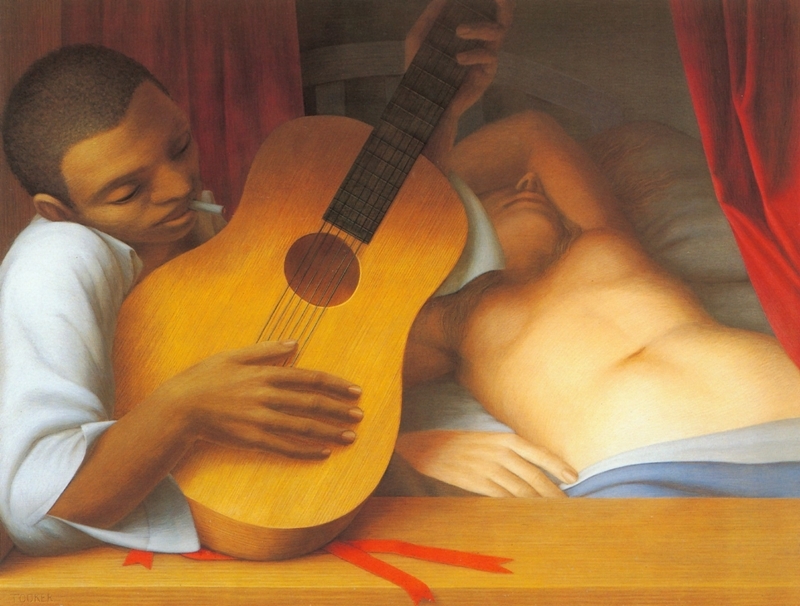 He was one of nine recipients of the National Medal of Arts in 2007. 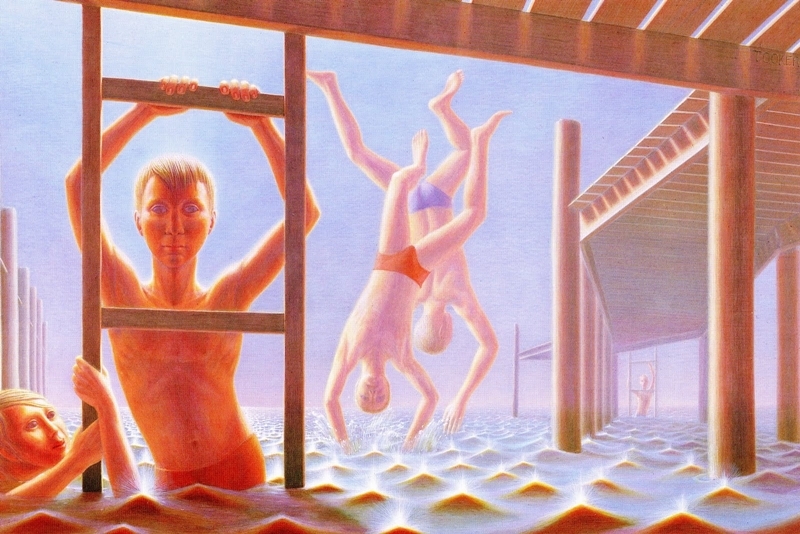 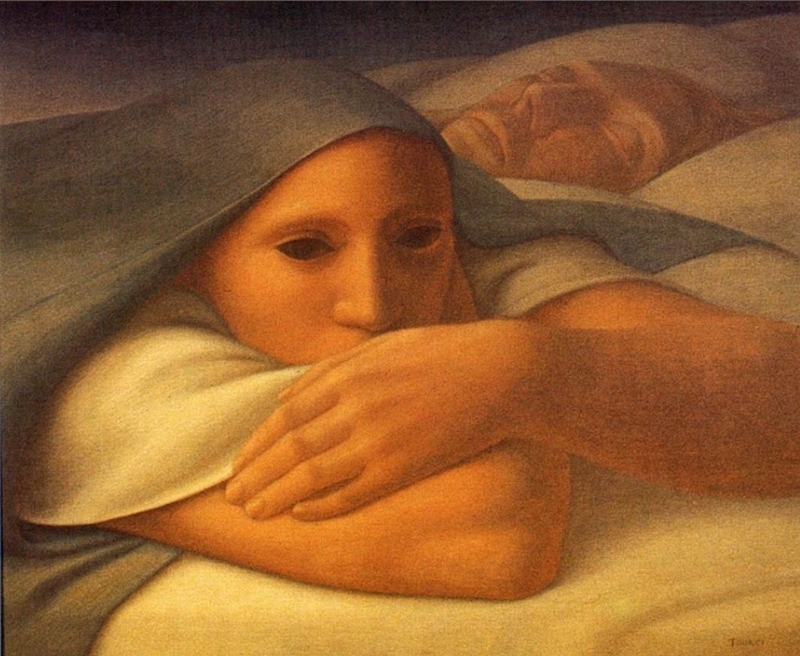 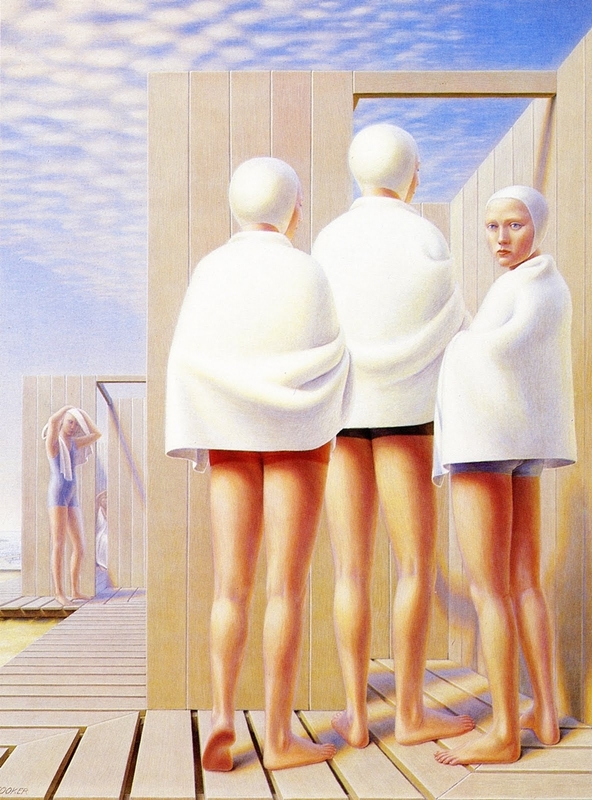 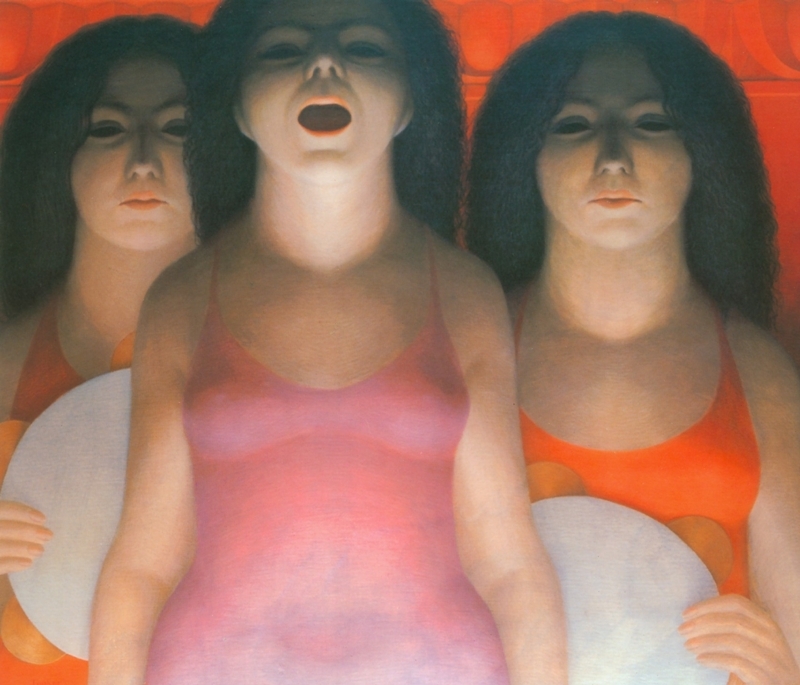 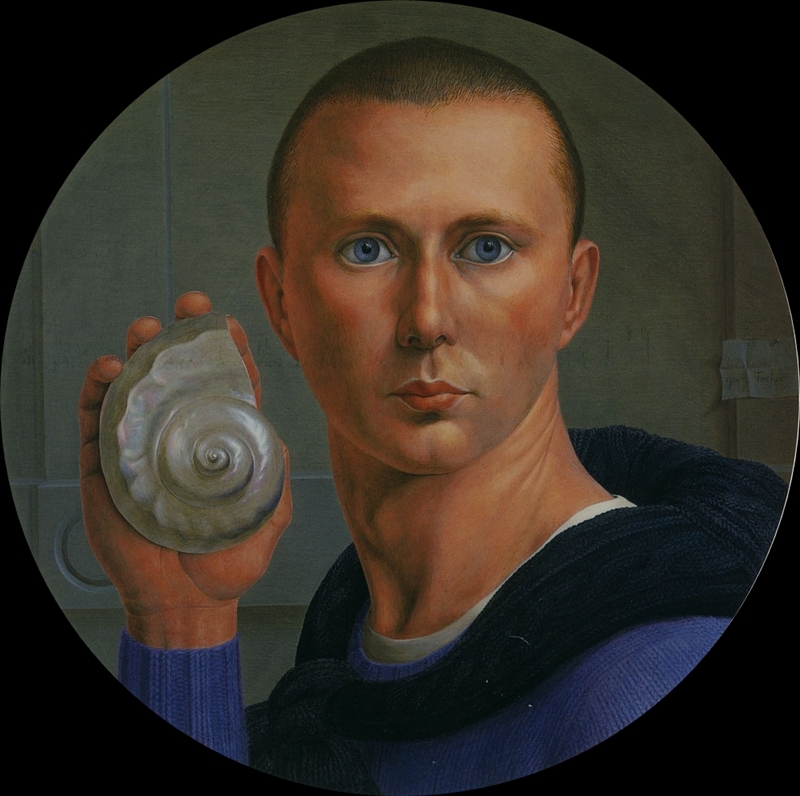 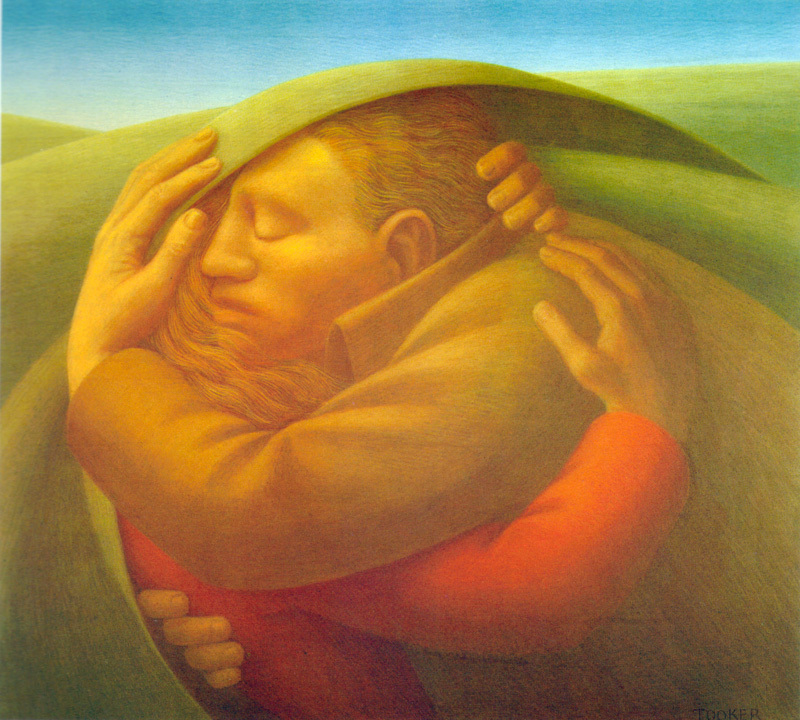 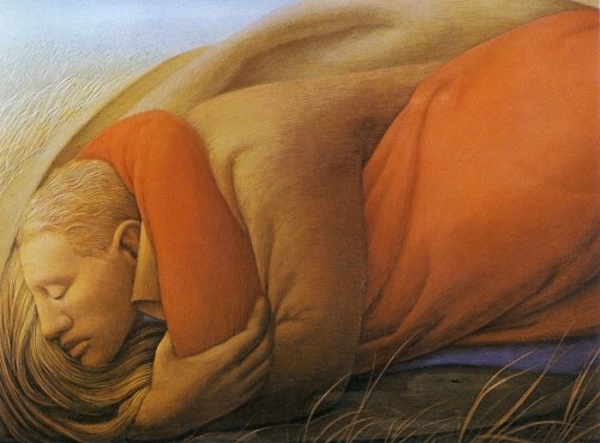 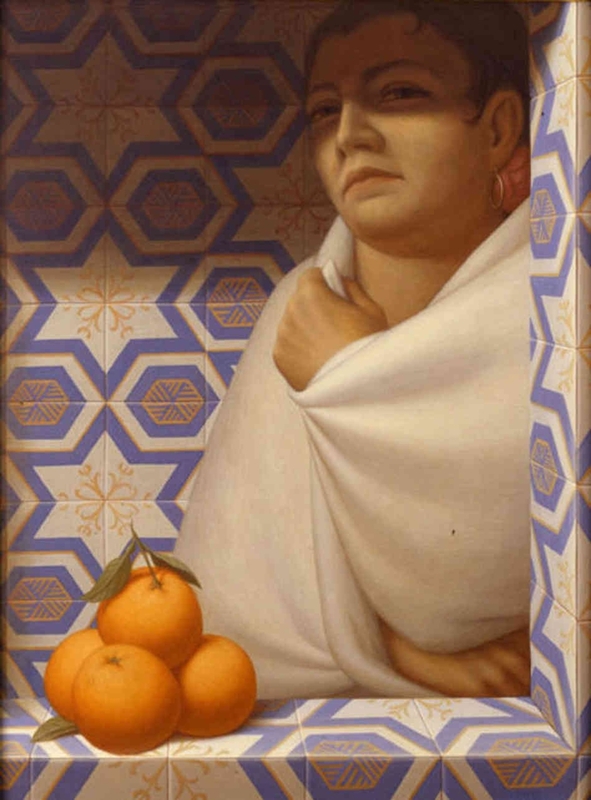 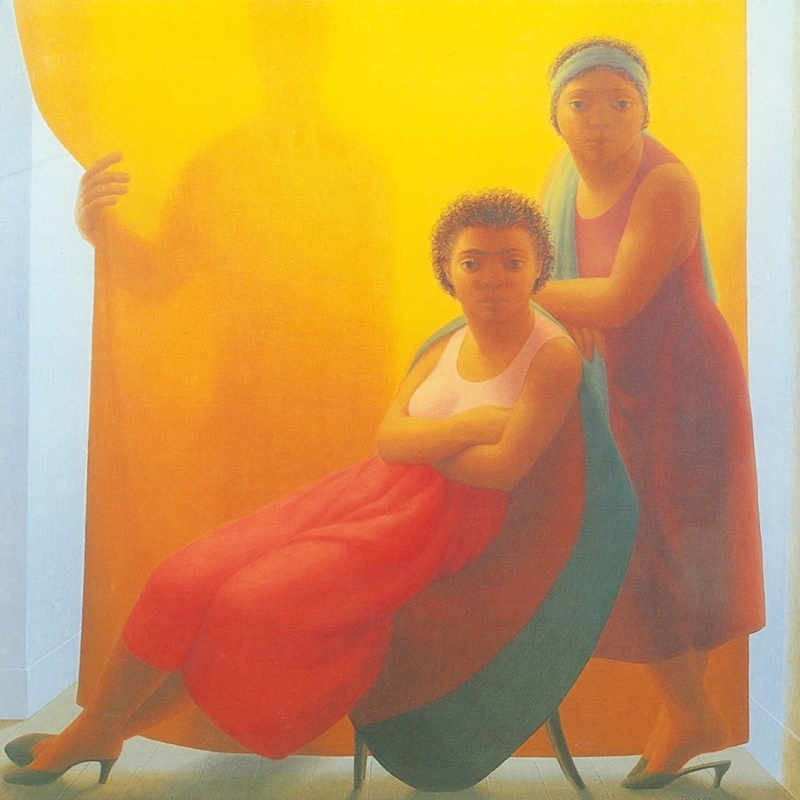 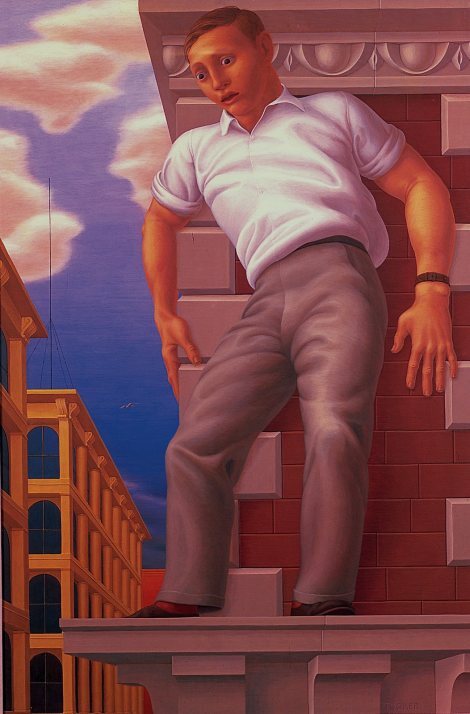 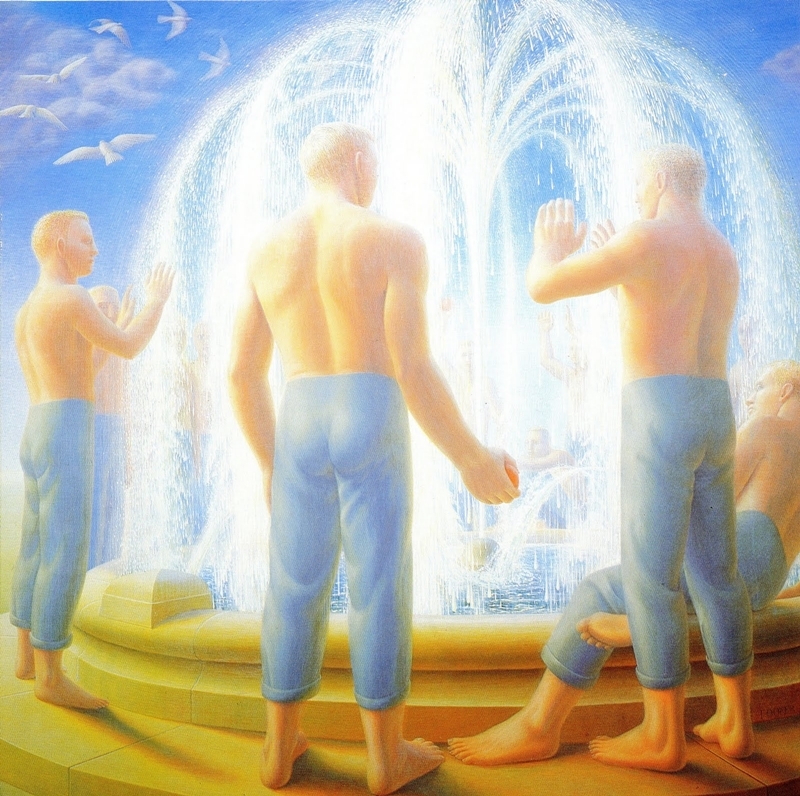 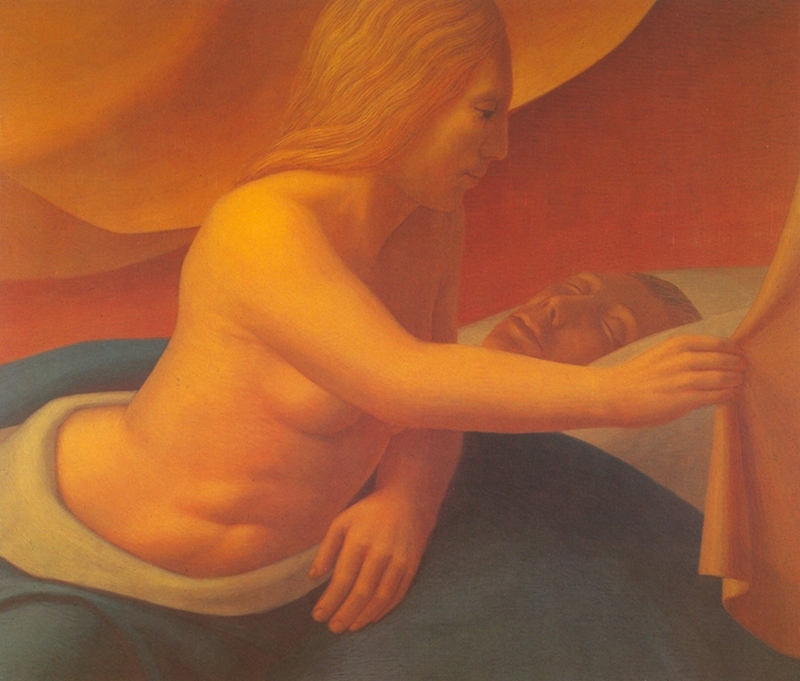 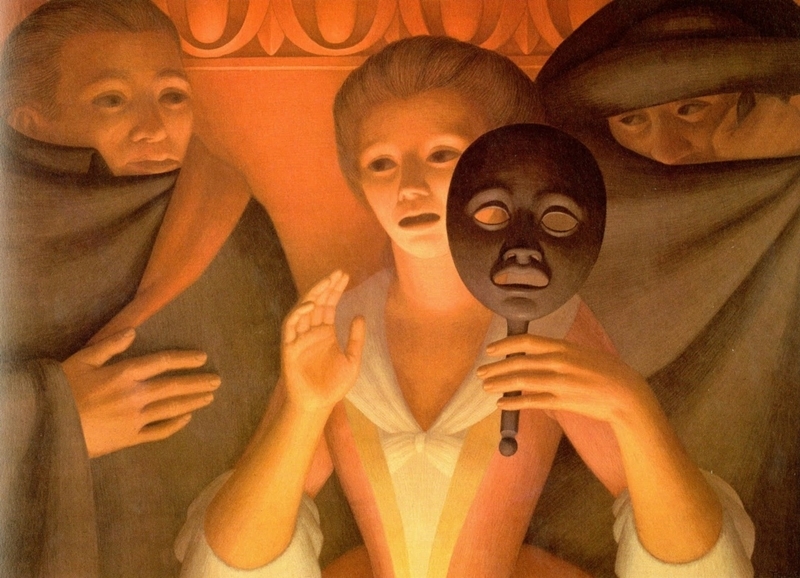 Tooker was raised by his Anglo/French-American father George Clair Tooker and English/Spanish-Cuban mother Angela Montejo Roura in Brooklyn Heights and Bellport, New York, along with his sister, Mary Fancher Tooker. 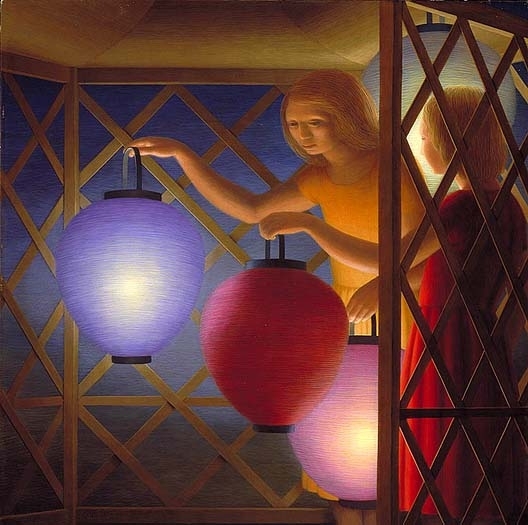 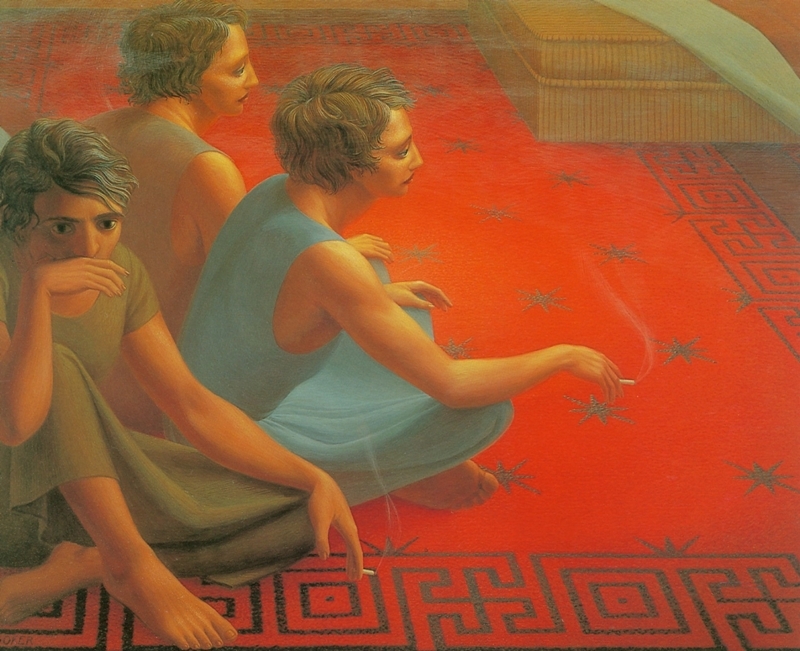 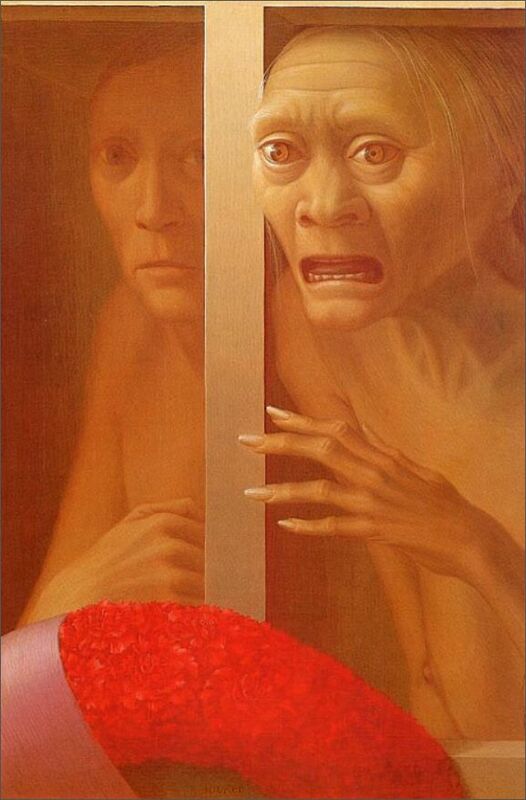 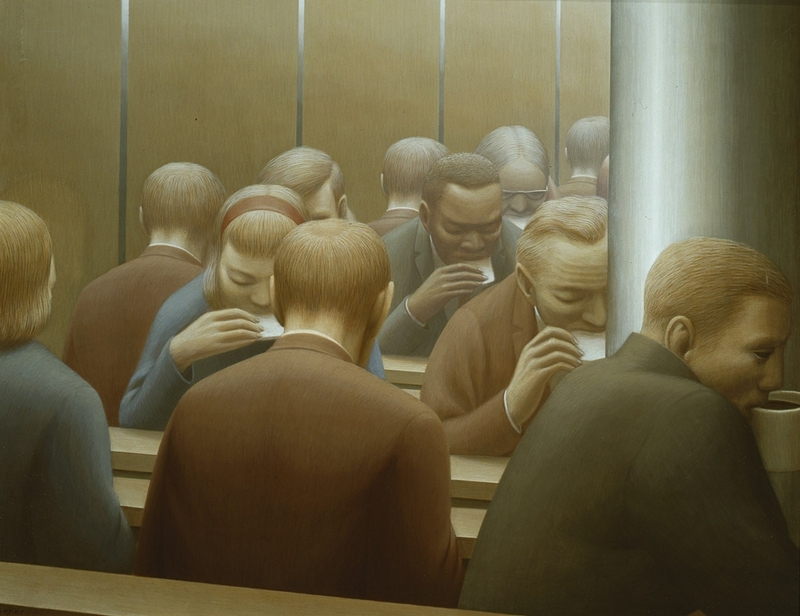 Tooker wanted to attend art school rather than college, but ultimately abided by his parents' wishes and majored in English literature at Harvard University, while still devoting much of his time to painting. 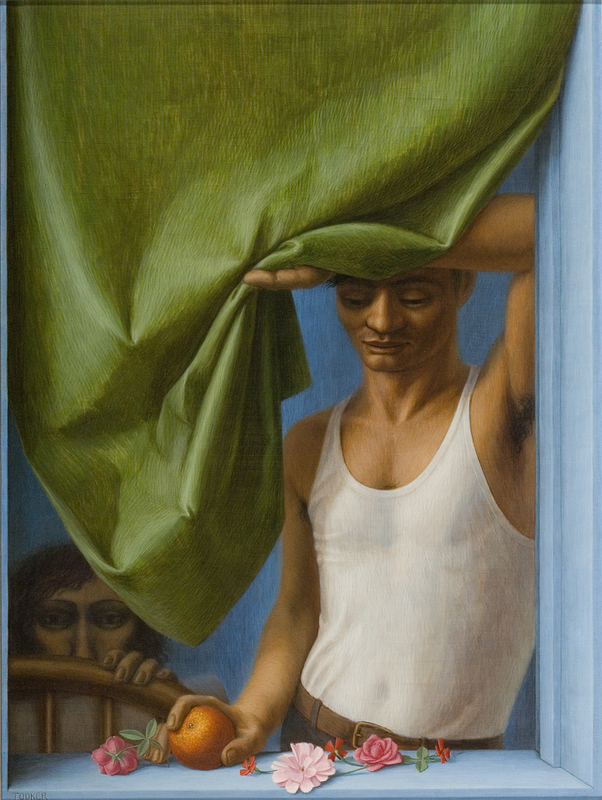 During 1942, he graduated from college and then entered the Marine Corps but was discharged due to ill-health. 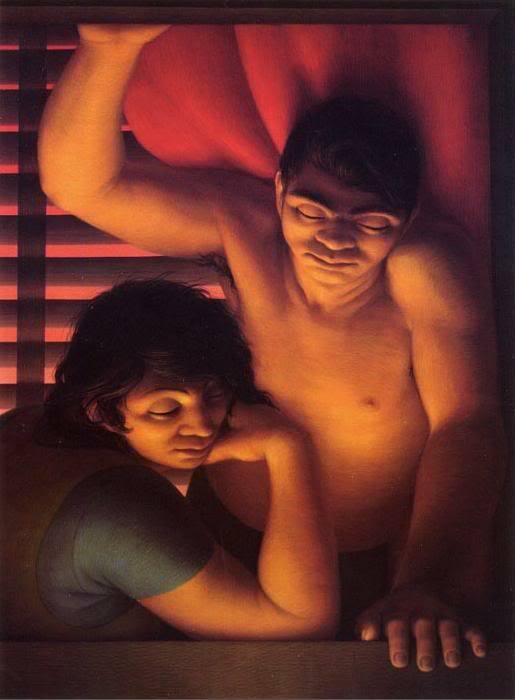 He had a long-time partner, William R. Christopher, who died in 1973. 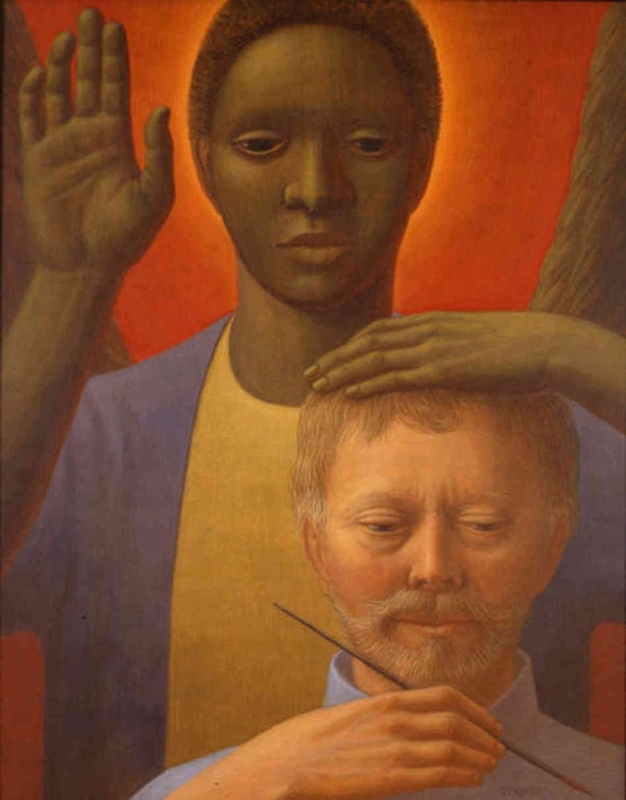 Although he was raised in a religious Episcopalian family he later converted to Catholicism. 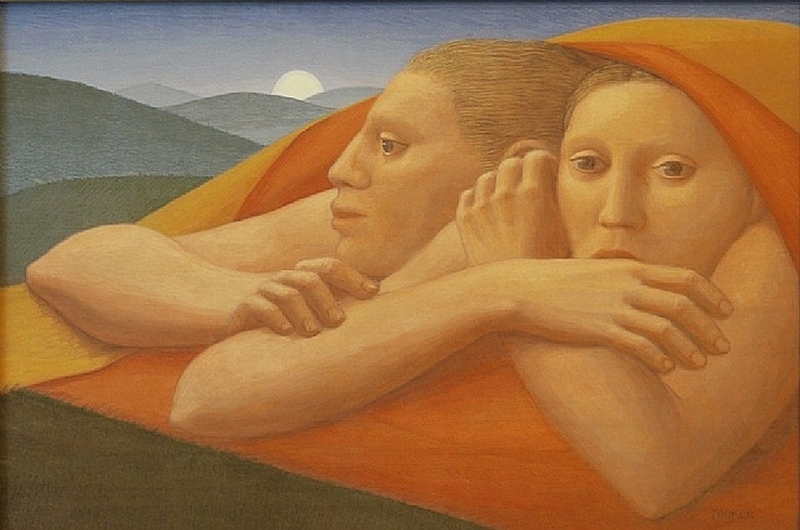 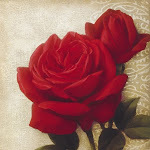 Tooker died on March 27, 2011, due to kidney failure. 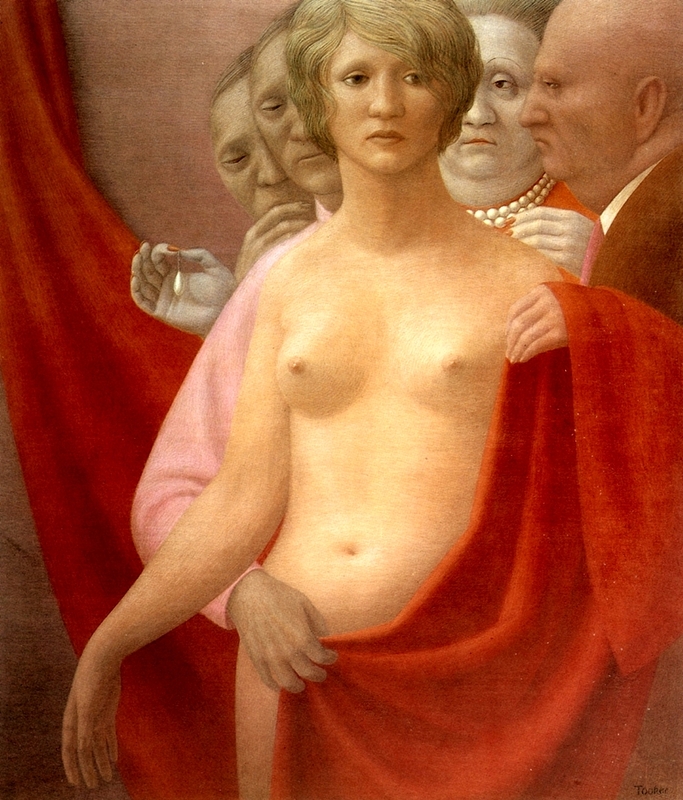 In 1943 Tooker began attending at the Art Students League of New York, where he studied with Reginald Marsh and Kenneth Hayes Miller. 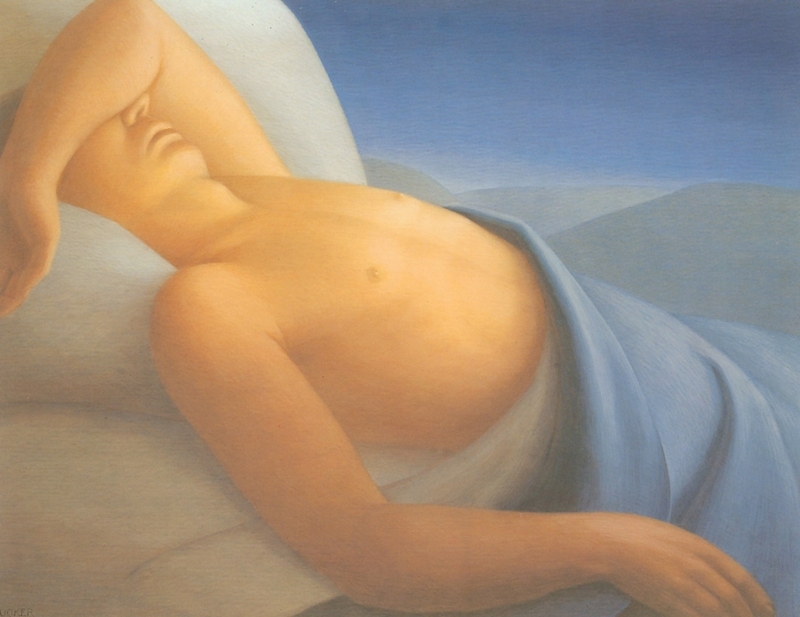 Early in his career Tooker's work was often compared with other painters such as Andrew Wyeth, Edward Hopper and his close friends Jared French and Paul Cadmus. 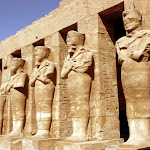 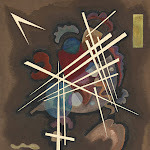 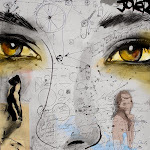 He was elected to the National Academy of Design in 1968 and was a member of the American Academy of Arts and Letters. 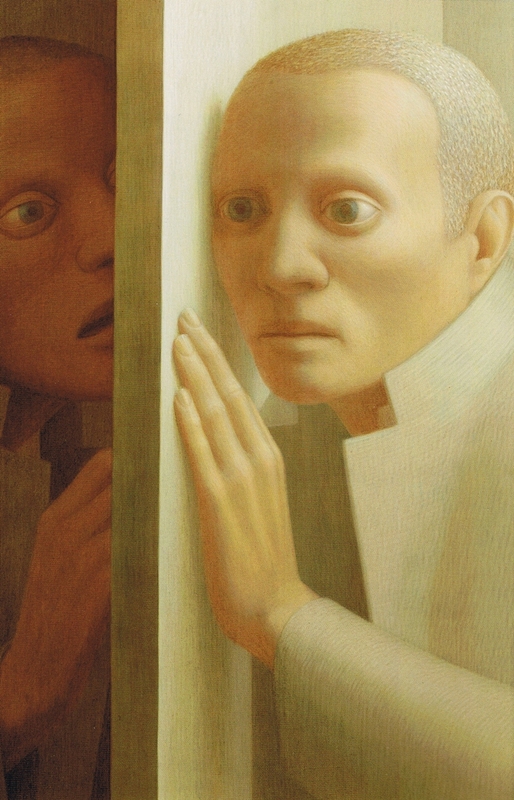 In 2007, he was awarded the National Medal of Arts. 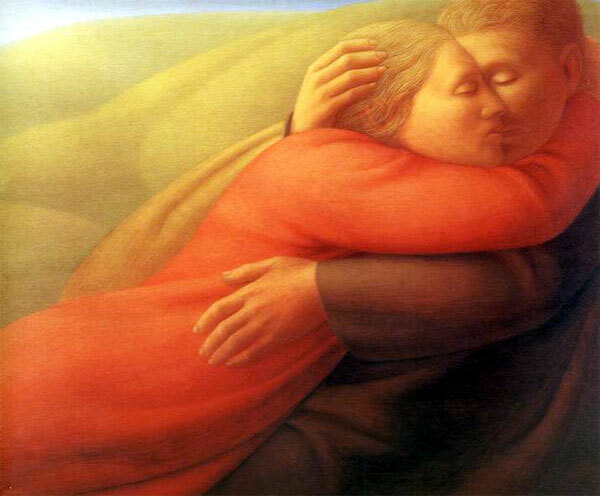 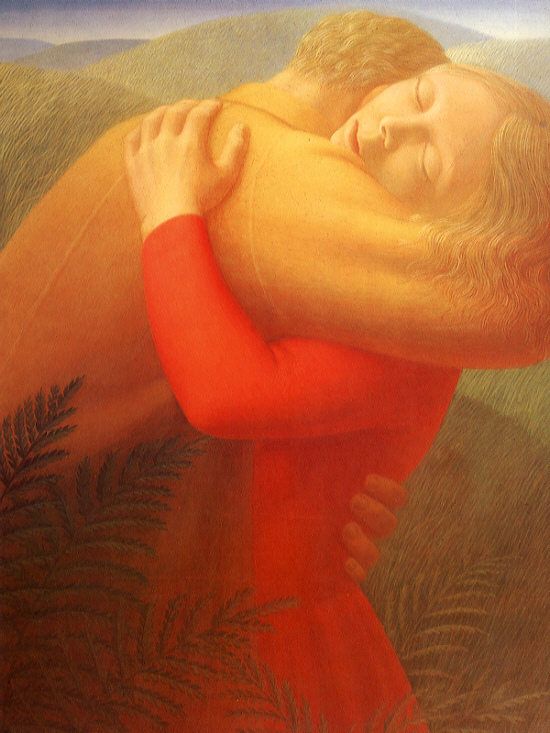 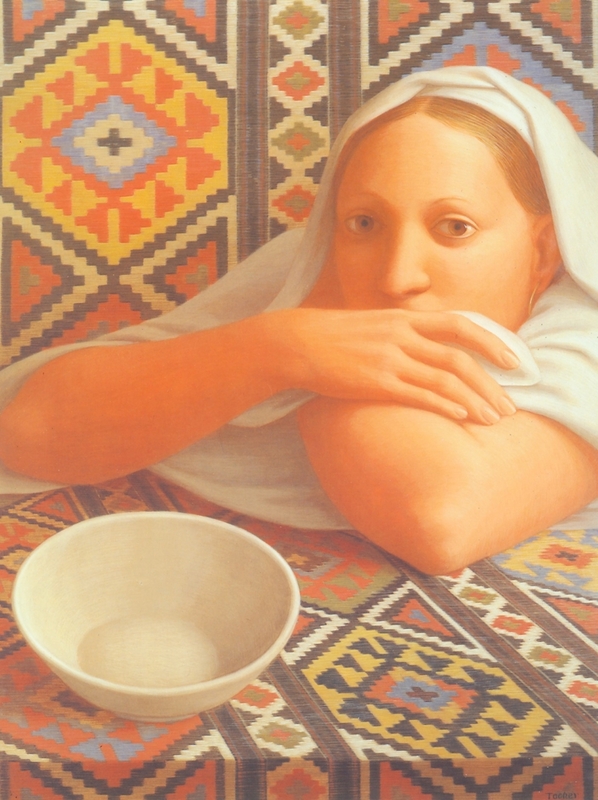 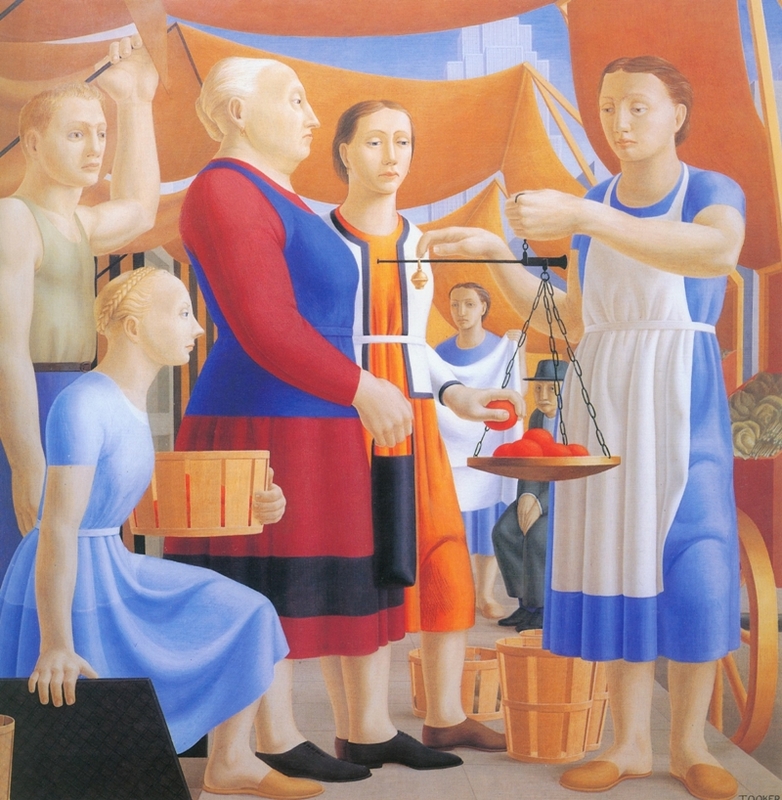 Tooker lived for many years in Hartland, Vermont.